In 1990, the Cave de Ribeauvillé set up a plot selection leading to a full traceability from the vineyard to the bottle, on all terroirs of its vineyard. 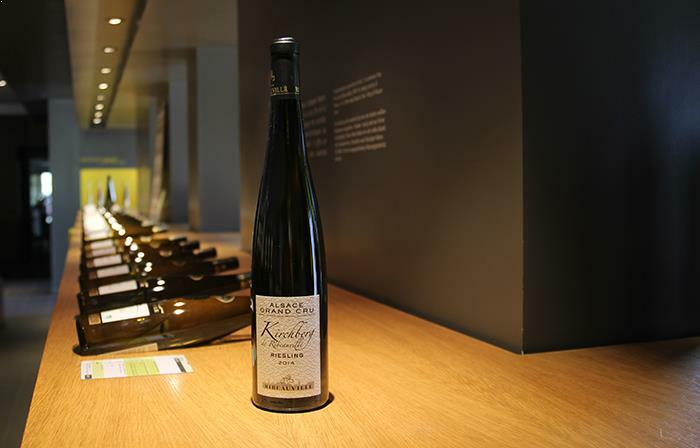 In 2003, all the winemakers signed this charter, which allows the Cave de Ribeauvillé to manage its vineyard as a field of 260 hectares around Ribeauvillé, the largest in Alsace, fully harvested by hand. Our steering committee is made up of 7 people who organize, follow and manage the charter, in particular by carrying out an annual audit and assessment on each operation. environmental protection and safety include training of winemakers, safety of farmers, control of equipment and products used, record of a vine book which favours the preservation of our wineyards’ wildlife. regulation of the soils maintenance, wineyards grassing, vines cut, trellising, load management… A particular chapter concerns our Grands Crus (which yield is limited to 50hl / ha), the ‘lieux-dits’ (68hl / ha) and villages (72hl / ha), with recommendations for trellising, disbudding and green harvesting. vine planting is regulated by planting density, row spacing, varietal selection, and a method of farming young parcels imposed on the whole wineyard. the sanitary protection of the vine is ensured by a work in integrated agriculture. We define and validate the active ingredients to be used for the phytosanitary protection of the vineyard. he sanitary protection of the vine is ensured by a work in integrated agriculture. We define and validate the active ingredients to be used for the phytosanitary protection of the vineyard. Purity, finesse, balance, sharpness, precision … each wine from the Cave de Ribeauvillé must be the closest possible to the original expression of its grape variety and terroir. Rigorous and permanent care of the vineyard is the first step. Manual harvest, sorted and transported with care is the second. The flow of juices using gravity, without pumping or trituration, a slow and controlled clarification of juices, to keep all the useful matter… a long and regular ageing on lees to extract aromas of the varietal and keep the soil expression. Light filtration, bottling, followed by ageing for up to several years for our Grands Crus d’Alsace. Here are in a few words the major steps that rules the elaboration of wines from the Cave de Ribeauvillé. Real wines, without any sugar or wood artifice, pleasant and pure wines. 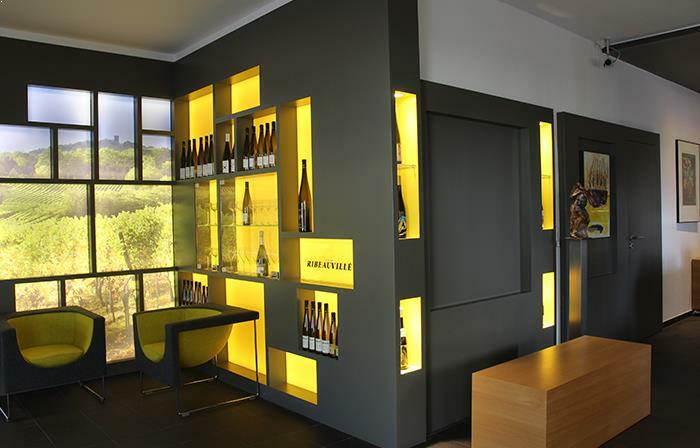 On a gorgeous site, the Cave de Ribeauvillé has set up a reception structure to receive in the best conditions all lovers of Alsace wines. 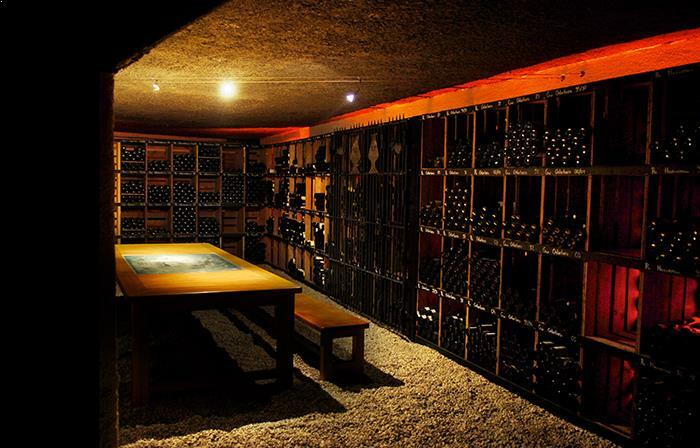 Fully equipped to welcome groups, the Cave de Ribeauvillé organizes guided cellar visits followed by a commented wine tasting (on reservation). 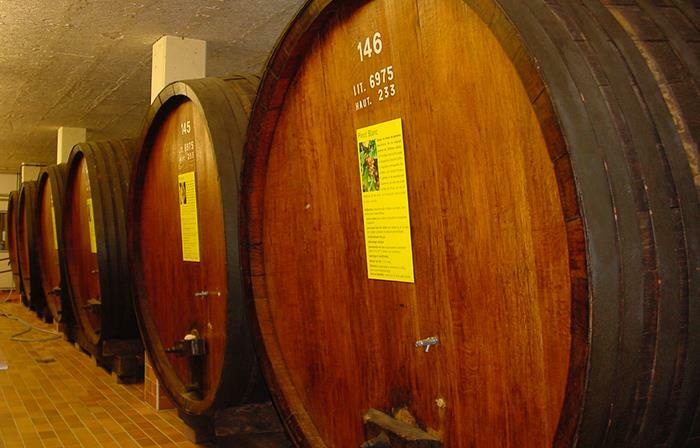 Other tours are offered to discover our vineyard and know everything about Alsace wine. From walks in our vineyards, tasting of our wines, through the visit of our cellars, our 6 courses will allow you to discover the most beautiful terroirs of Alsace. We are at your disposal and adapt your wishes to our offers. Authorized to receive amateurs who come individually or in groups, our cellar has a specific space dedicated to children with games. Our oak casks are 100 years old. 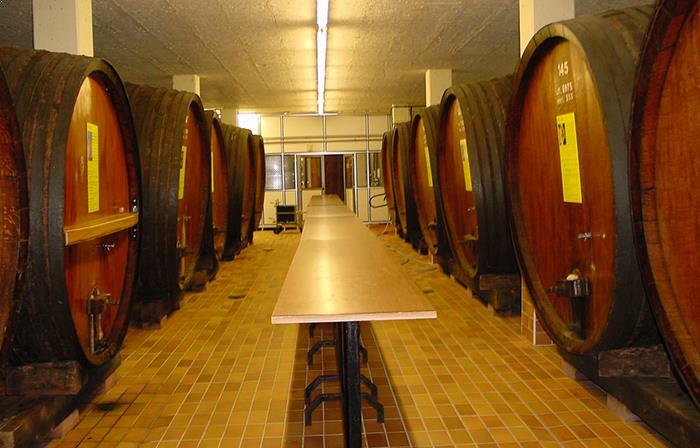 Formerly used for the vinification and transport of Alsace wine, they can contain up to more than 7000 liters of wine each. They are used today for ageing our Pinots Noirs wines, in order to soften their tannins while keeping all the complexity of their matter. Information boards present all our varieties from Pinot Blanc to Sylvaner. 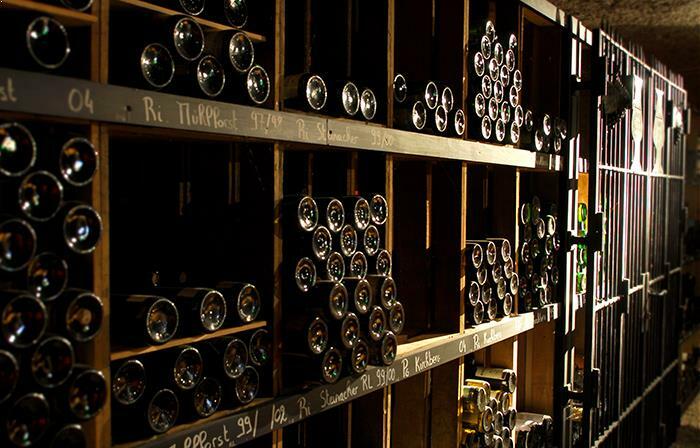 Here are kept the greatest vintages of our great terroirs of Alsace. An orientation table covers our whole domain, from Saint-Hippolyte to Kaysersberg: you will travel on our 9 Grands Crus and grape varieties, including Riesling, Gewurztraminer and Pinot Gris. 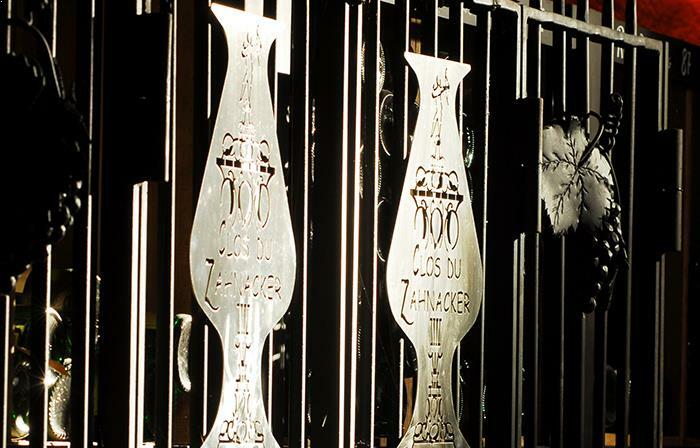 A collection of different Clos du Zahnacker vintages is kept behind a wrought iron gate … to keep the charm and mystery of an exceptional “vertical” tasting. 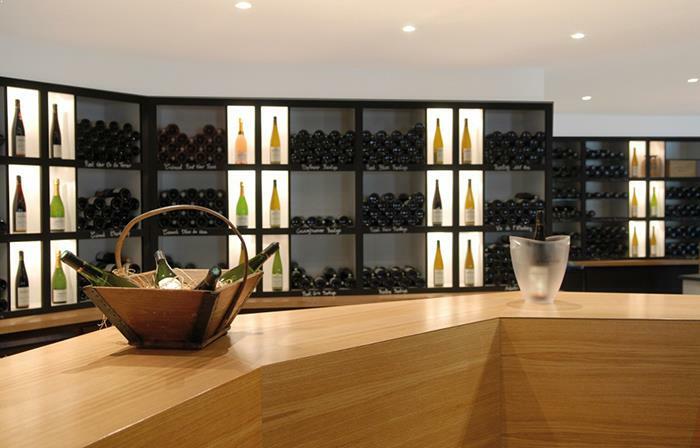 Thanks to our tasting area, we can give to our customers a continual update of all the information they need, and of course, taste the different wines with the help of our staff and winegrowers. 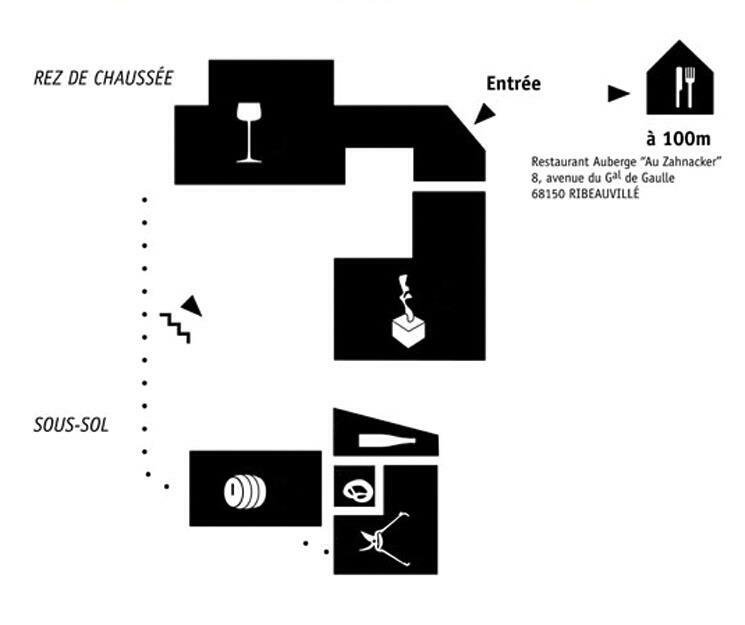 The Cave de Ribeauvillé proposes the largest choice of the terroirs of Ribeauvillé & the surronding area with more than 60 cuvées presented at the winery . 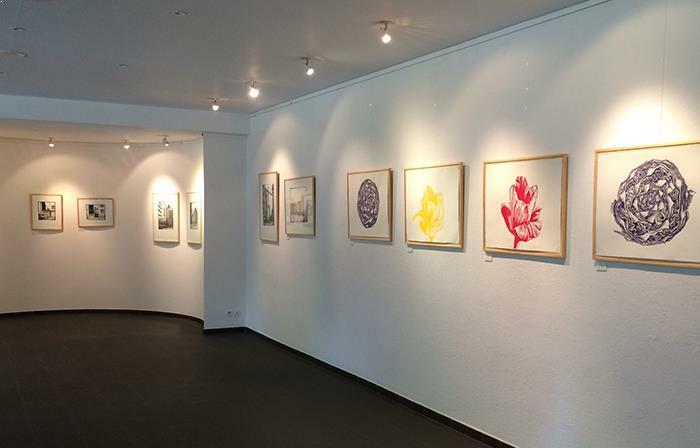 The exhibition room is both modern and spacious with the latest high-tech equipment for its concerts and exhibitions held throughout the year. A warm welcome awaits all its visitors to the renowned Cave de Ribeauvillé. Equipped to receive large groups it is also accessible for the disabled and the blind. 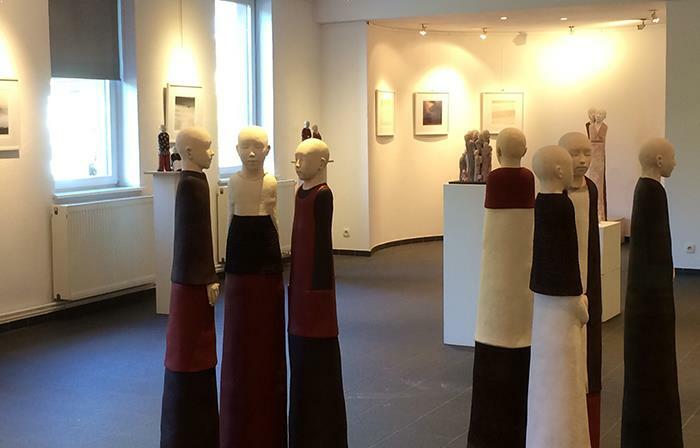 By collecting vestiges and relics and setting up the museum without any external help, the Cave de Ribeauvillé’s winegrowers have once again reinforced the message of solidarity that originally helped them cope with times of crisis. In 1885 Alsace was annexed to the German Reich. Cut off from France and its wine connoisseurs the vineyards of Ribeauvillé were sadly neglected. 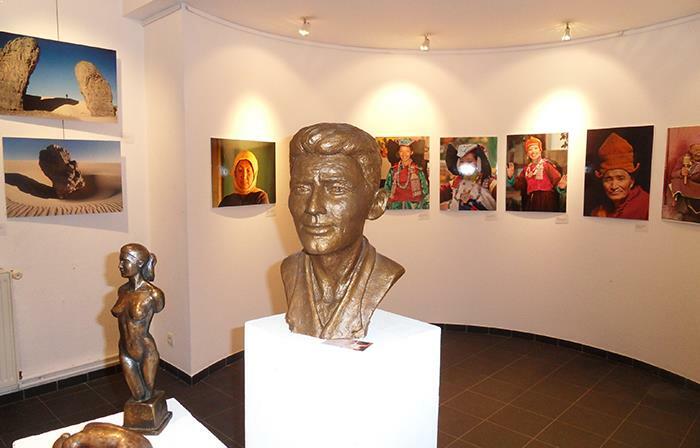 It was a group of winegrowers who then decided to group together and they founded the cooperative based on the ideas of German sociologist Frédéric Raiffeisen and named it Rappoltsweller Winzerverein. Each member had to bring all his harvest to the cooperative and in exchange was paid fairly. 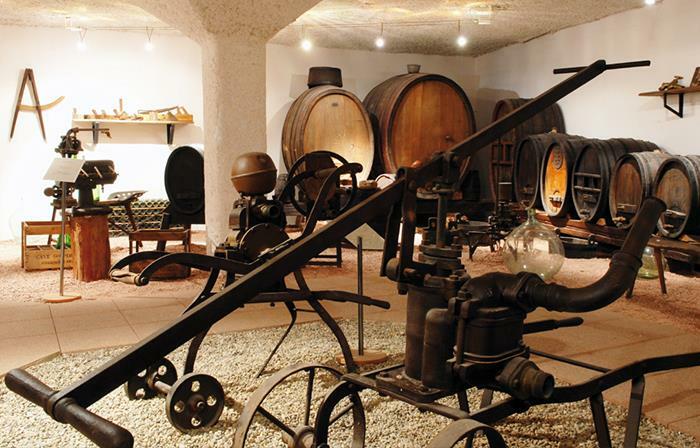 Skilled workers were in charge of the winemaking and bottling, a sales force found outlets for the wine and an administrative body took care of production and selling. Everything was placed under the direct control of the winegrowers who formed a board of directors. The vineyards of Ribeauvillé have been here since the beginning of time. It were the Lords of Ribeaupierre and the Benedictine monks who first made use of the natural resources with its south facing slopes and different topsoils. It is believed that the knight-monk Martin Zahn returning from the Crusades played a major role in the creation of “Clos du Zahnacker”. 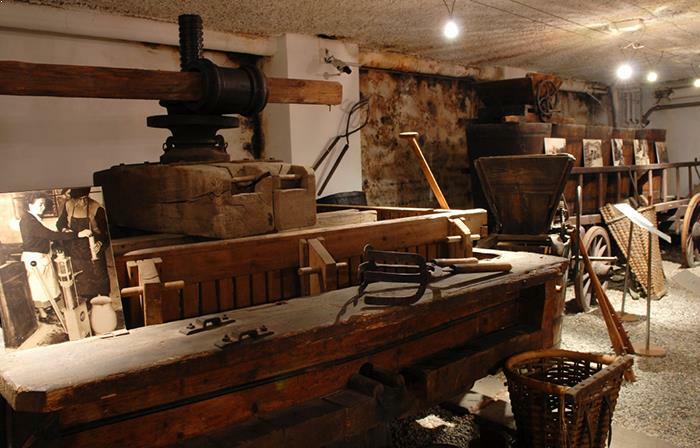 Despite all the upheaval in the history of this part of France since 1895, the Cave de Ribeauvillé has managed to preserve its spirit of solidarity and efficiency. From generation to generation, from one year ‘s wine production to the next, the temptation for independence of growers make their own wine has been omnipresent. But finally no-one, since the founding of the cooperative, has wanted to change.